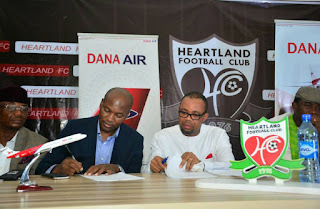 The airline partnership between Dana Air and the Imo state Government have started yielding benefits with the recent unveiling of a multi-million naira sponsorship deal with Heartland football club of Owerri Imo state. The season-long sponsorship deal which is part of the airlines' support to the newly-promoted Imo state based team's 2018 league campaign, will see the airline get shirt sleeve branding and lots of other branding opportunities with the club. 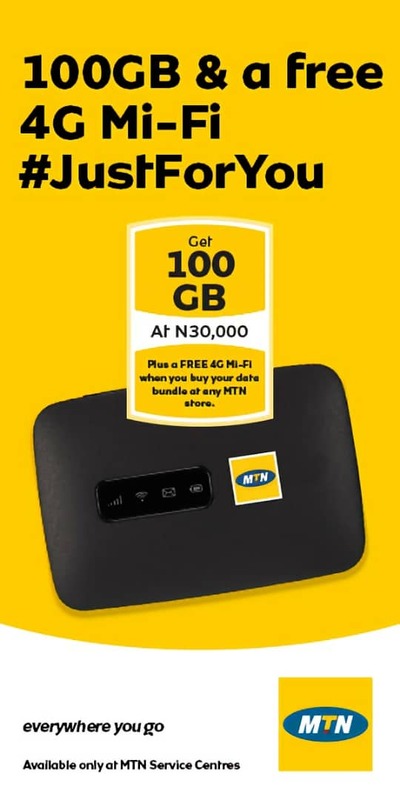 Speaking further, Obi said: under this under this sponsorship package, the player of the month will get a whopping cash gift as part of efforts to motivate the players to do better, keep fit, and continuously improve themselves to get the prize." 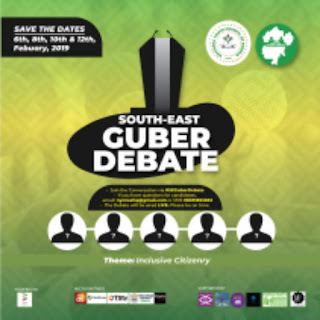 ​, Hon GoodFaith Etuemena, ​ during his speech praised the vision of Dana Air, the operators of Imo Air and assured the airline of commensurate mileage on the sponsorship. In 2017, Dana Air entered into an airline partnership with the Imo state government to boost tourism potential in the state, encourage business and leisure trips and create employment opportunities for its indigenes.